Eyelash glue for strip lashes. 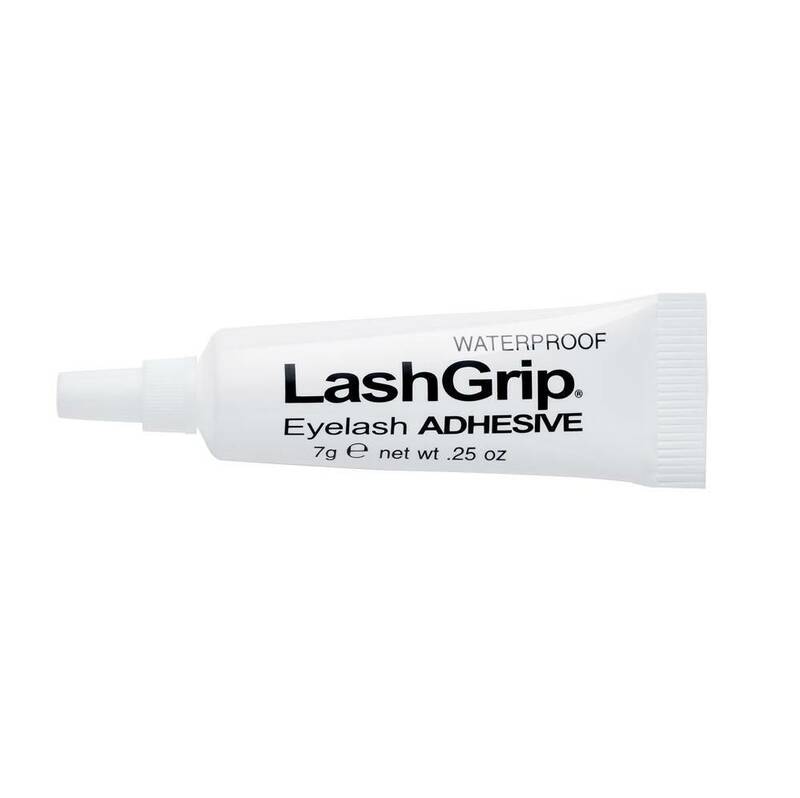 The Ardell Lashgrip Strip Adhesive Dark is best used on strip lashes. It is a latex based adhesive meant to be temporary and can be removed quite easily. 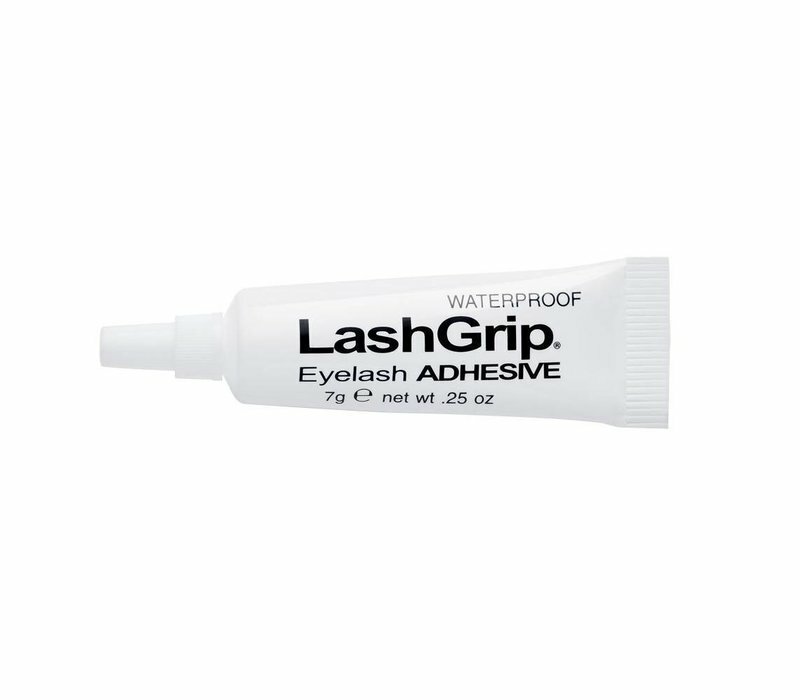 Buy the Ardell Lashgrip Strip Adhesive Dark online at Boozyshop.